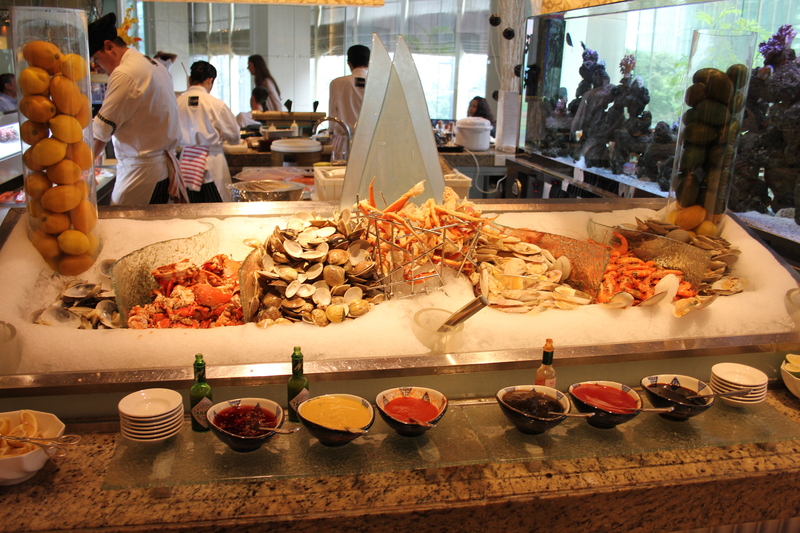 The Sunday before we were to be separated for the summer, we decided to treat ourselves to brunch at another popular spot in Shanghai – the Yi Cafe at the Shangri-La hotel on the Bund. What a treat! 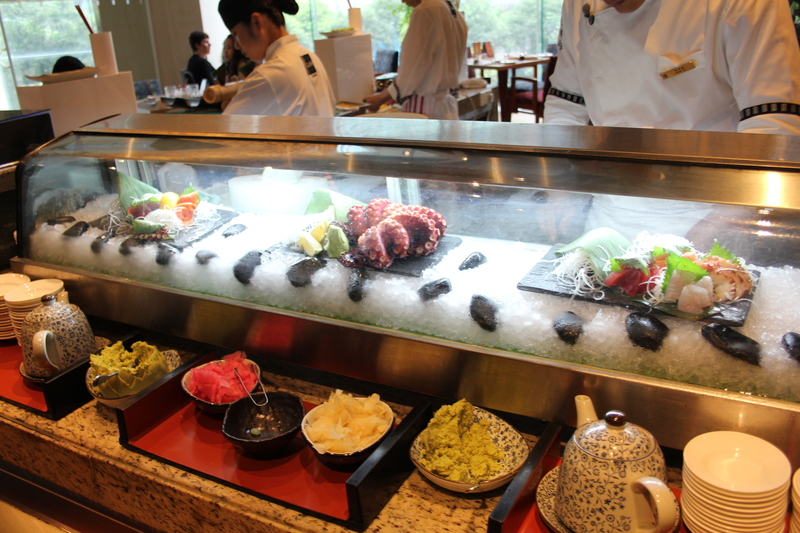 10 different food stations with open kitchens, chocolate fountains, noodles and sashimi in a rainbow of colours. 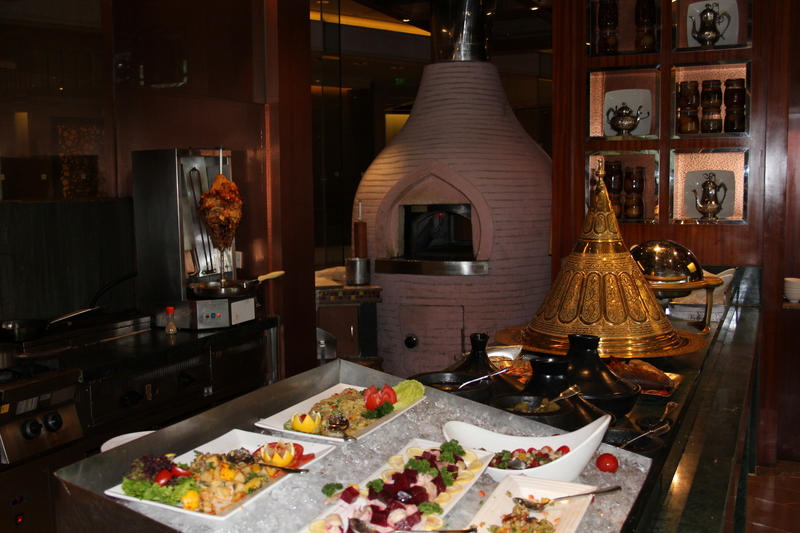 Flavours from all over the world that is all freshly prepared and in many cases you can see them cooking in front of you. 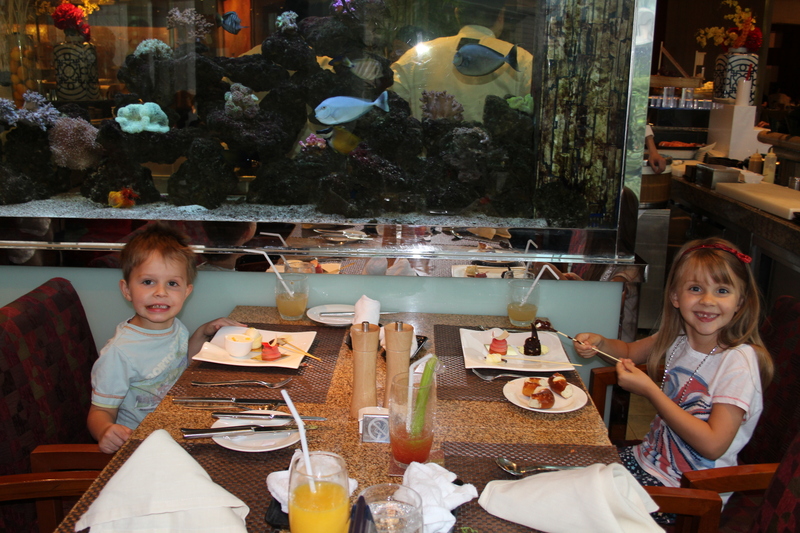 We had a great table by the sushi station – the only thing separating us was a huge fish tank filled with colourful tropical fish and of course, the kids thought that was great! 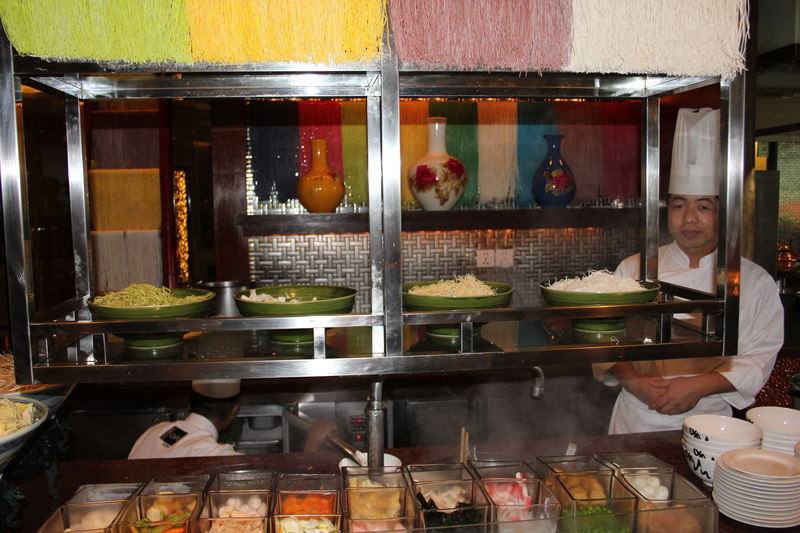 This is one of the few places in Shanghai that serves Mexican, so it was a real treat to see a chef from Mexico City that made fresh, yummy guacamole. Isabelle thought it was yummy and went back for 2nd’s of that! There was also a fabulous Indian station with an authentic tandoor oven, fresh naan and chicken tikka. 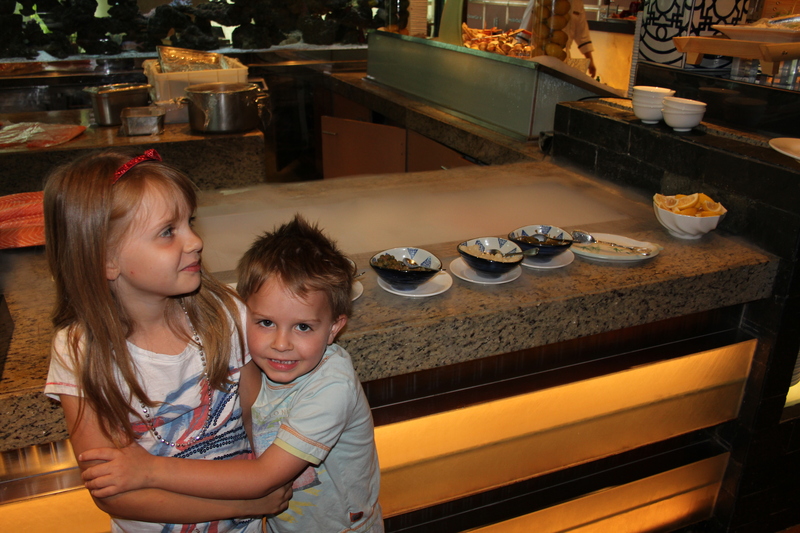 Both kids loved the noodles that were being made by hand in front of our eyes and in the blink of an eye – what a skill to be able to do that at lightening speed! The food was fantastic, the service was fantastic and the whole experience was fantastic! It was great to have attentive servers that ensured our glasses were always full, without being intrusive. 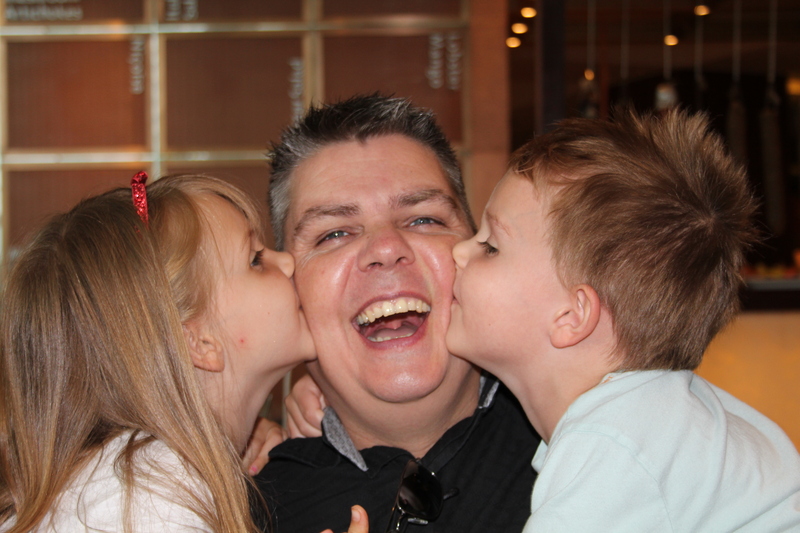 They all spoke excellent English and made a fuss over the kids – a guarantee of a tip! Saving the best for last – the Dessert Station was AWESOME! All of us were over-whelmed with the choice, but had to go back for 2nd’s here. 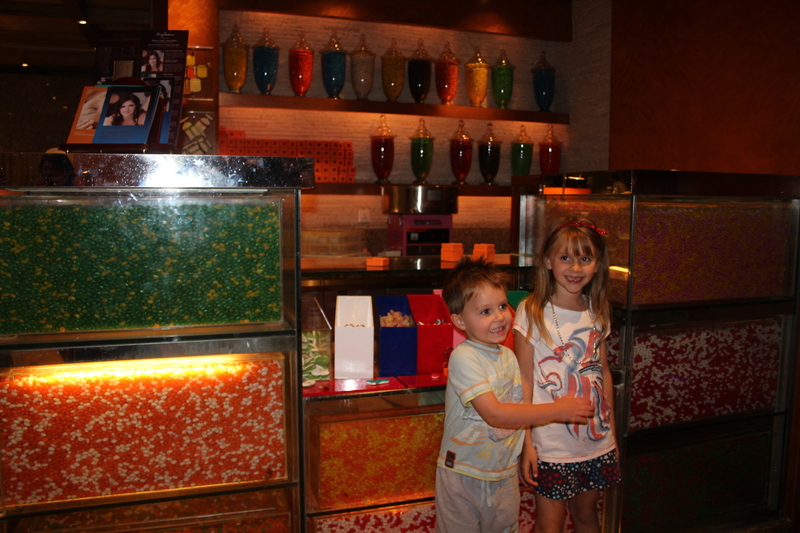 At the end of the meal, Owen filled little boxes with sweeties at the candy station. 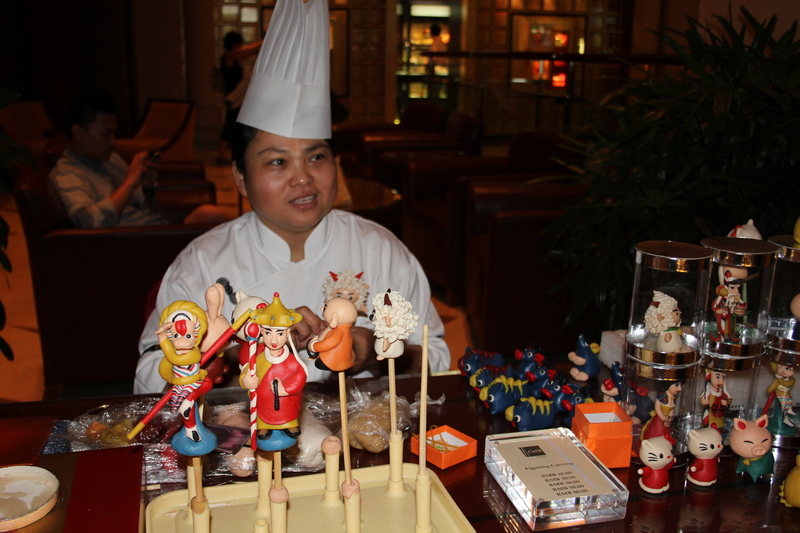 There was a lady hand-making marzipan figures – again, another skill. The only down side here was the amount of people being so greedy and filling so many boxes with the free candy. This is one place that we will be returning to. A 3 hour brunch experience that we all enjoyed. Fab table by the Fish Tank! 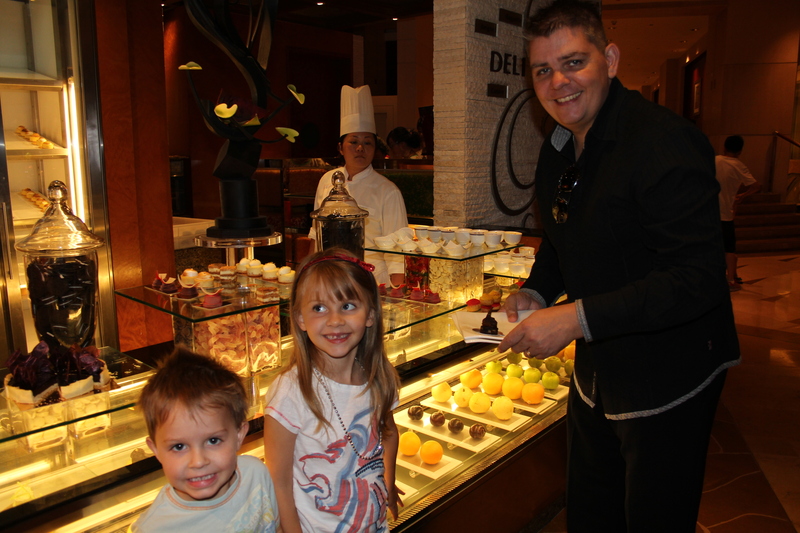 The Marzipan Lady – wonderful creations…..
Isabelle & Oliver LOVED the Candy Station! Kids (!!) at the Dessert Station! 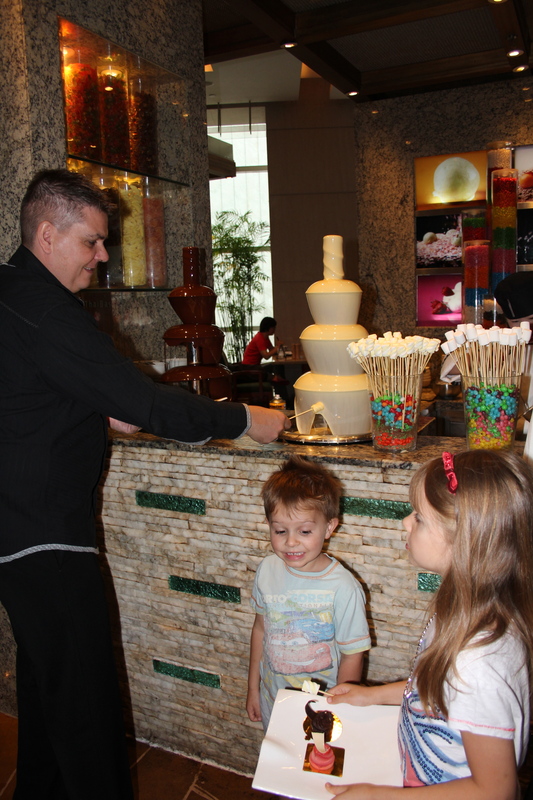 Chocolate Fountain, here we come…..
Chocolate Fountain – milk and white, with marshmallows and fruit to dip with. 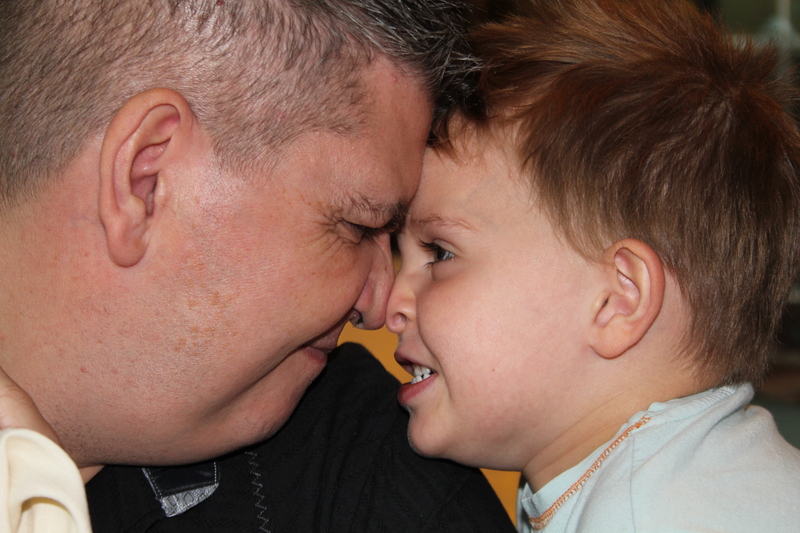 We Love you Daddy – You are the Best! !